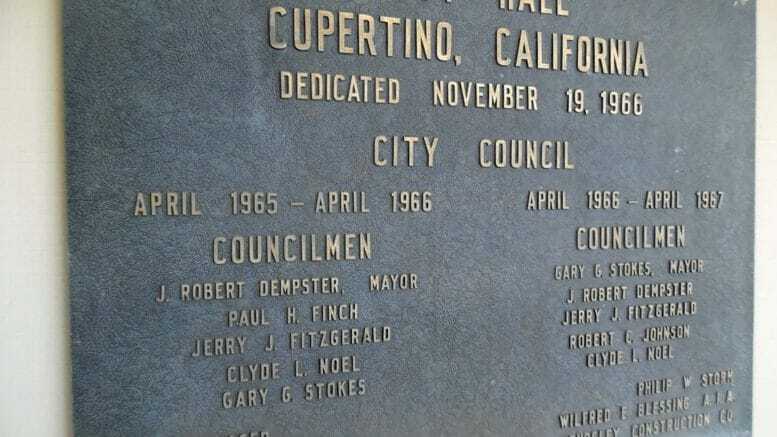 The City of Cupertino is looking to tap the services of a lobbyist to handle the many proposed housing bills working their way through the California State legislature. At its March 19 meeting, it was announced by interim City Manager Timm Borden that the City will work with a lobbyist very soon. “We are moving forward with hiring a lobbyist, we’re just getting ready to send out request for proposals and would anticipate we’ll have someone on board within the next month,” Borden told the council. There’s been chatter about hiring a lobbyist over the last few months. During his State of the City speeches on Jan. 30, Mayor Steven Scharf said he spoke with a San Jose official who said their city has two lobbyists. Scharf added that Cupertino spoke with fellow West Valley cities such as Saratoga, Campbell and Monte Sereno about possibly banding together and sharing the cost of a lobbyist. Scharf said during those speeches that those cities share a lot of similar housing and planning issues. It’s unclear if Cupertino is planning to share the services or expenses associated with its future lobbyist. Efforts by state lawmakers to mitigate the housing crisis continue to weigh heavily on the minds of council members. Last week’s meeting also saw assistant City Attorney Richard Taylor give the council lengthy primers on the Committee to House the Bay Area (CASA) and proposed housing legislation, SB50 and SB330. Council members also got a review of the state’s legislative process. CASA in particular received a lot of attention. Scharf notably referred to the compact as the “Committee to Destroy the Bay Area” during his State of the City speeches. The CASA Compact is a set of proposed policies intended to address issues associated with housing in the Bay Area. It was adopted by the Association of Bay Area Governments and the Metropolitan Transportation Commission. SB50, as currently written, would encourage housing development in areas that are determined to be “transit-rich” and “jobs-rich.” The bill argues that housing in these areas would enable shorter commutes or allow residents to live nearer to jobs. SB330 would declare a statewide housing emergency until Jan. 1, 2030. According to the City’s summary of the bill, cities and counties found to have high rents and low rental vacancy rates would be prohibited from reducing housing densities, increasing development fees, or taking a range of other actions affecting housing development. Among other actions and incentives, it would also cap hearings on housing developments. The City’s presentations and summaries of proposed housing legislation can be found on the City website by clicking here. Be the first to comment on "﻿City seeks lobbyist to wade through State housing legislation efforts"